Here's a deal specifically for those that live in Manitoba! Get a $10 credit on your next grocery purchase of $50 or more from Visa when you sign up at the link below. 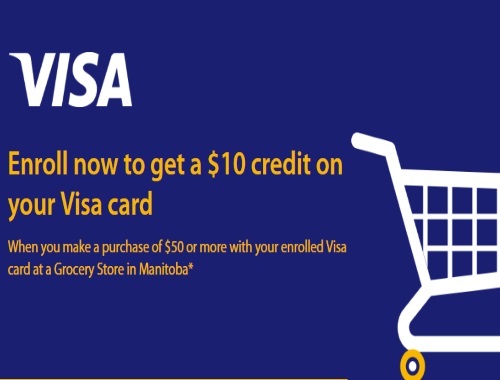 This applies to those in Manitoba only that have a Visa card, register below and you will automatically receive a credit within 15 days of purchasing groceries. Offer ends November 15, 2016.